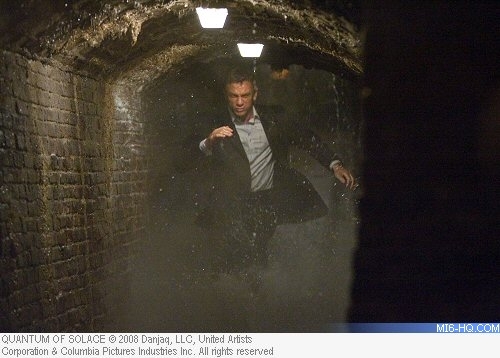 Gamers can get their first play of the new "Quantum of Solace" videogame with a demo for Windows PC. Officially, the demo is available through Coca-Cola’s website, where players who buy a bottle of Coke Zero Zero Seven and type in the special 12-digit code hidden behind the wrapper to access the download. The Windows XP/Vista demo allows players to take control of the action through a first-person shooter perspective in a short version of the Siena cisterns chase from the new film. The third-person cover combat system allows gamers to use stealth and lethal combat skills. Running for approximately five minutes, the demo allows players to test out four weapons, including the P99. Win "Quantum of Solace: The Game"
Win Nintendo DS "Quantum of Solace: The Game"